Our goal has always been to produce the finest wines possible. We strive to make wines that express the unique soil and climate in which they grow, the personal attention they are given in vineyard and wine cellar, and the winegrower’s esthetic. Our wines are living things, raised with care, giving voice to our joie de vivre. We have produced estate grown and bottled Leelanau Peninsula wines since our first crush in the fall of 1978. Now we make principally methode champenoise and cuve close method sparkling wines. Most wines are from our estate vineyards; however, we are producing some wines from grapes purchased from other vineyards. Our current annual production is less than 4000 cases: this modest volume allows us the pleasure of winemaking in the style we enjoy – barrel fermented small lots made with minimal handling. 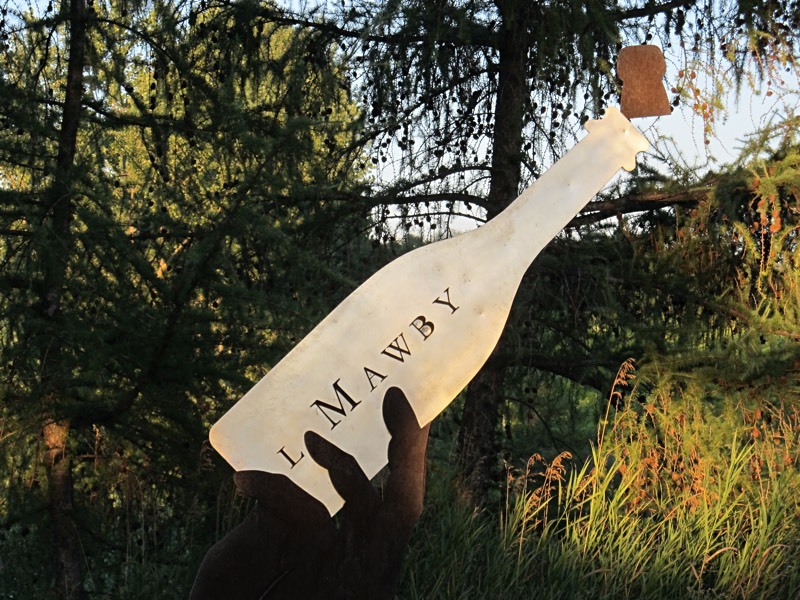 All of our L. Mawby sparkling wines are made using the methode champenoise, and are aged in the bottle before disgorging, with many cuvees being given 3 or more years of tirage aging. Our M. Lawrence sparkling wines are produced in the cuve close method, are given less aging, and are less costly than the method champenoise sparkling wines. We always offer at least two wines for tasting free of charge; and feature paid tasting flights of 2 sparkling wines with small bites of food, costing between $7 and $15 depending upon the wines you choose. Some of the wines we produce are available for sale only in our tasting room and here on the web, notably Sandpiper. Also, some wines are available only to our FIZZ Club members; for information on joining, click FIZZ.